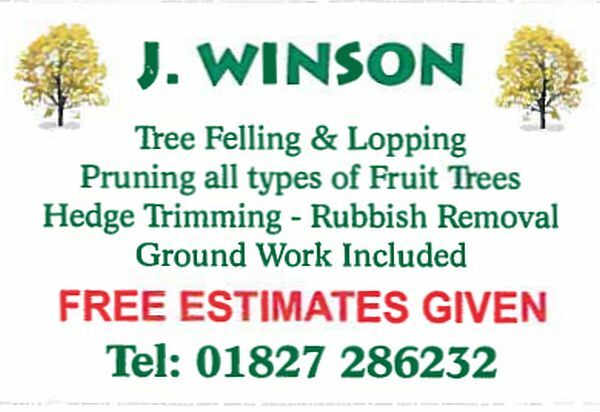 West Midlands Police officers from the Oscott Neighbourhood Team tell us that they recently stopped two men in Great Barr, who were delivering cards (pictured below) asking for for gardening jobs. The police believe that the men were involved in recent incidents in the area, involving bogus officials. Please be aware of this issue and discuss it with any elderly or vulnerable neighbours or relatives. 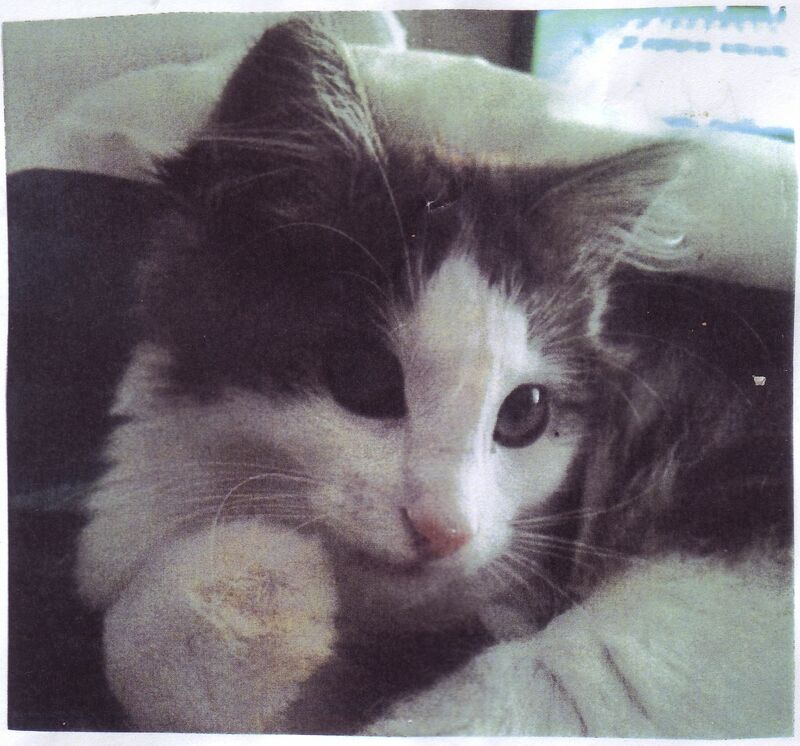 My children are very upset and would really ask for anybody’s help to find him. Thank you. Many motorists travelling on the Kingstanding Road will have noticed the erection of speed monitor sign on the Kingstanding Road (heading Southwards) opposite the Crossway Lane Bus Stop, near where several road incidents have taken place on the turn in to Crossway lane. Local Police and volunteers have also recently been out near the sign area recording motorists speeds. Lets hope this sign will encourage drivers to slow down on what is a 30mph road and reduce road vehicle incidents. The crossroads at the junction of Thornbridge Avenue, Aldridge Road and Greenholm Road is a notorious accident blackspot (“one of the most dangerous in the area“). 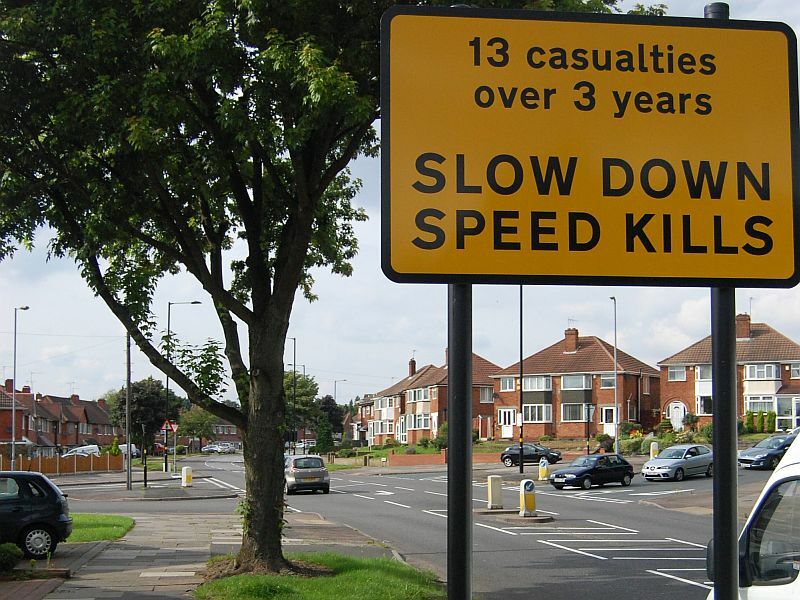 Birmingham City Council’s own signage warns of “13 casualties over 3 years” (see image below). One reason for this may be the confusing lane markings as the junction is approached from Thornbridge Avenue. There are two lanes for traffic approaching up Thornbridge Avenue, one clearly marked for turning left, the other for turning right. There are no markings for traffic proceeding straight ahead, into Greenholm Road, which thus uses either lane, and sometimes both at once, despite Greenholm Road being only single-lane. 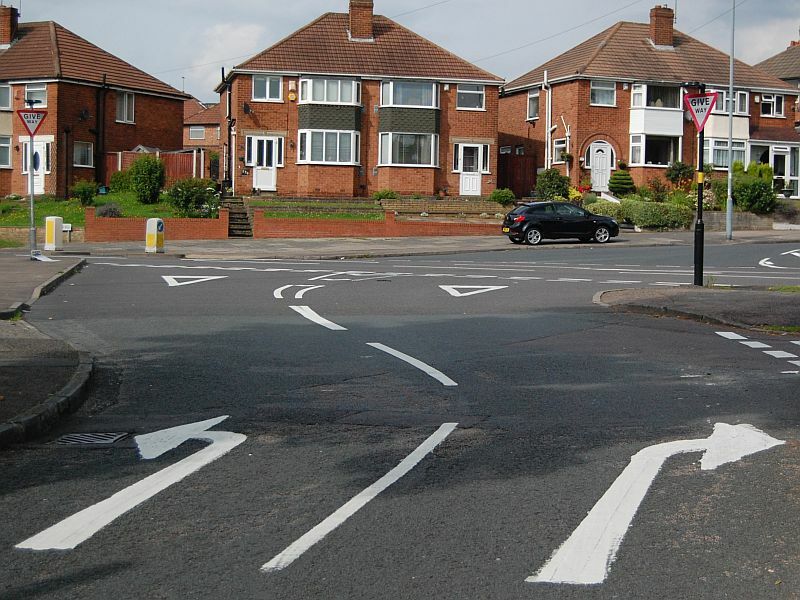 We hope that the council will improve the markings at the junction soon — even if that’s just a short-term measure, until they make the more significant changes that are surely needed. Can you identify man suspected of Kingstanding assault? West Midlands Police are appealing for help from B44 residents to identify a man who attacked a private hire driver. At around 2am on Saturday 5 May, the 42-year-old victim picked up two young women on Priory Queensway in the city centre. Before he pulled away, the man in the CCTV got into the car. The driver then took the two women to a house on Perry Wood Road in Great Barr. The man then asked the driver to take him to Kingstanding. At some point, there was a dispute about the fare and the man got out of the private hire taxi [sic], opened the driver’s door and proceeded to punch him in the face. The driver then got out of the car in a bid to escape but fell over. His attacker then kicked him as he lay on the floor causing his wrist to break. At TheB44, we think people who provide us with useful services should be able to work free from fear and intimidation. If you can identify the suspect, please call DC Duncan on 101. Alternatively, people who do not want to speak with police officers directly can call the independent charity Crimestoppers anonymously on 0800 555 111. This coming Saturday the 14th of July 2012 sees the Oscott Community Games take place. They will take place at the George Fredrick Playing Fields between 11am and 3pm. Football sack race,relay race, skittles and many more. Food, drink and entertainment too. A great way to get into the Olympics spirit for all the family. For further information contact Zetilda A Ricketts on tildaatr@aol.com or visit the website. As mentioned before on this blog, the buses that serve the B44 area of Birmingham are on the move again in order to accomodate the works to the new Metro line that will run down Corporation Street. As a result the route in which buses enter and leave town will alter as will the bus stops, with the introduction of new ones along the new route and new interchanges. I spotted the other day that the pub ‘The Kingstanding’ on the Kingstanding Circle has had a bit of a tidy up on the outside and been re painted in what I would describe a Purple/Claret colour, replacing the old green. I certainly think that it looks nicer, what are everyone else’s thoughts? How long ago did it get this ‘make over’? Taken today (6/6/12) behind the Golden Hind Pub in Kingstanding.